Singer, Songwriter, Philanthropist, Brit Nominee and Cover Star, Camilla Kerslake, is the female powerhouse. 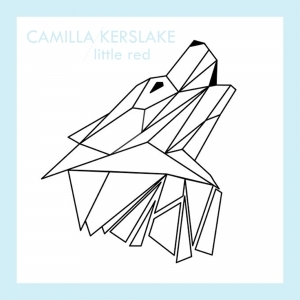 Building on her success as the best-selling English soprano of the decade, Camilla spent early 2016 writing and recording her first contemporary album, collaborating with radio 1 favourite Jack Garratt for a particular highlight, Sooner Or Later. The first release from the, as yet untitled work, Little Red, caught the attention of music mega star Roger Daltrey of The Who and Kerslake was honoured to open an exclusive acoustic performance of his with the track in December. Writing since she was 8, this upcoming record represents Camilla’s first professional opportunity to pen music to perform herself. Moved by the world around her, Kerslake gives honest voice to the very real frustrations of young women in the 21st century as well as exploring universal themes of love and loneliness. 2017 is fast becoming an incredible year for Camilla. She opened the London Women’s March rally in Trafalgar square, performed at Paris Fashion week and the world famous Monaco Yacht club, and as a result of the 2016 Oscar and BAFTA nominated motion picture Camilla lent her vocals to, she delightedly agreed to attend and perform at this year’s Cannes film festival. The first signing of Gary Barlow’s Future Records, Camilla has had the great good fortune to sing for the Queen and an audience of 140,000 people at the Epsom Derby, the National Anthem at Wembley Stadium for the football Carling Cup Final and Rugby League Challenge Cup Final, the Rugby League World Cup opening ceremony at the Millennium stadium, numerous performances for England Rugby Union at Twickenham stadium and charitable performances in the presence of the Royal family at Buckingham Palace, Windsor Castle and The Houses of Parliament. Camilla completed an arena tour with superstar Andrea Bocelli, performing twice at the 02, as well as sell out concerts at the Hammersmith Apollo with mega group Il Divo. She has accompanied Russell Watson for two tours and triple platinum selling artists The Priests on a UK and Irish tour. She has performed 5 times at The Royal Albert Hall including a poignant performance for the festival of remembrance in the presence of Her Majesty and family and a classic Brit awards performance of Nessan Dorma, which became the ceremonies first official charity single. Camilla is lucky enough to have performed at/attended some amazing events in recent years, including; The Cannes film Festival, Monaco Grand Prix, Eva Cavalli’s Birthday Dinner Party with Kendall Jenner and Cara Delevingne, London Evening Standard Film Awards, LFW Closing Party hosted by Dylan Jones, front row at Moschino AW16 show, United Nations Women’s Dinner in association with Vogue and Elton John’s sold out Apple Music event at the Roundhouse. New single LITTLE RED out now. Get it now on iTunes.